Chittagong City Corporation organized a book fair in Muslim Hall, Shahid Minar Road, Chittagong. 64 publishers of Dhaka and Chittagong will take part in the fair. 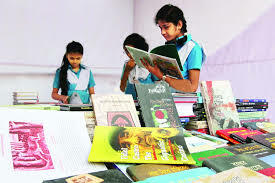 Book fairs have a great role in promoting the habit of reading among people of all ages. This book fair will play a vital role for the book lovers of Chittagong. The book fair is opened from 3pm to 9pm till 29th February. City Mayor AZM Nasir inaugurated the fair on Wednesday .